Is The South Korea Invisible Tower Actually Possible? Companies and governments spend billions of dollars a year on stealth technologies. From that research, technologies such as electronic stealth tanks and infrared invisibility cloaks are derived. However, South Korea is taking stealth technology to the next level by planning a tower that will be 1,476 feet tall (sixth tallest in the world) and invisible! However, many are wondering if the invisible skyscraper, known as the Infinity Tower, will even be possible to construct. Oddly enough, the answer is “yes” and the technique is surprisingly simple. Earlier this year, the South Korean government issued a permit to GDS Architects allowing them to build the invisible tower in the vicinity of the Incheon International Airport near Seoul. 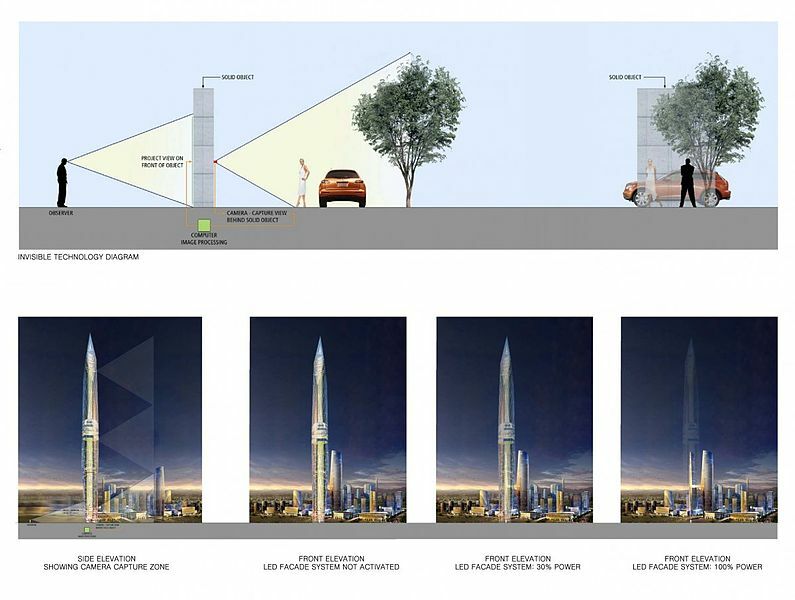 The idea is that the Infinity Tower will be the world’s first anti-tower, which will set it apart from other skyscrapers found across the globe. Even though the tower would not be the tallest in the world, it would gain its notoriety through this invisibility capability. 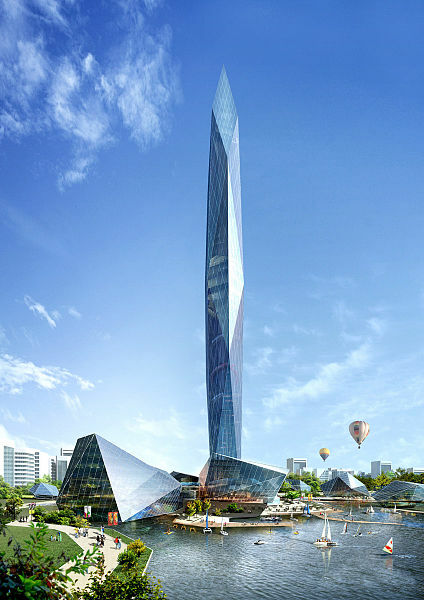 The Infinity Tower would be considered a grand accomplishment if achieved, but is it even possible? Surprisingly enough, not only is it possible to cloak an entire building, but the inspiration of doing so can be found in the natural world. The GDS Architects plan to deploy a system of sensors and light-emitting diodes. The idea is that the sensors record what is behind the skyscraper, then project that background on the front side of the building using the diodes. The system allows the building to blend in with the surrounding sky. This type of camouflage is very similar to the way the octopus mimics its surroundings to blend in the background. 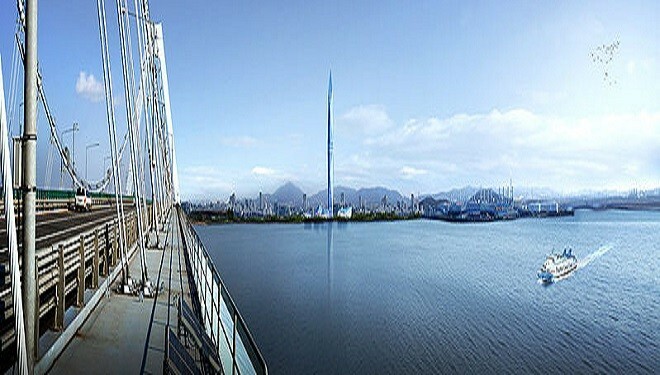 Such a capability is important to have especially since the tower will be located so close to an international airport. The likelihood is that the building would only be cloaked on special occasions or certain times of the day as a tourist attraction. It is unlikely that the building would remain permanently cloaked. Even though the technique is poised to be effective, it will not render the building completely undetectable. He believes that if the tower or the area where the tower will be located is studied enough, that the human eye would be able to preserve the edges of the building. Also, the sensor-diode approach will not make the tower invisible to any sort of infrared detection. It seems that the architects have the permits and the technology to create the world’s first tower with cloaking capabilities. Even though the tower will not be able to become totally undetectable, if GDS Architects succeed, South Korea with be home to a modern marvel of both architecture and stealth technology. The building is slated to be completed some time in 2014. We will have to wait to see if GDS Architects will be able to bring their ambition from the drawing board to reality.